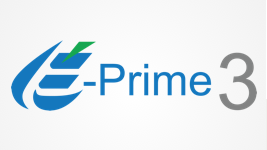 We are excited to announce that E-Prime 3.0 is now available for pre-order starting today! Fulfillment of orders is scheduled to begin December 16, 2016. We will be showing E-Prime 3.0 at the upcoming conferences! Please visit our booths at SfN, SCiP, and Psychonomics for a demonstration.